It’s day three of the Red Cross Care Partners (RCCP) strike and the weather is freezing. 4,500 personal support workers across the province went on strike Wednesday after the Service Employees International Union (SEIU) and RCCP failed to reach an agreement. While the strike does not involve members of our union, it is a David and Goliath struggle that we should all be concerned about. These are the lowest paid workers in the health system. They have tough jobs that can be physically and emotionally demanding as well as require a high degree of skill. SEIU tells us the average age of these workers is 53. They are predominantly women. This is the government’s home care policy made transparent – the lowest possible wages paid to a group the government feels has little power or leverage. Three days in and reports are emerging of agencies scrambling to offer financial incentives to PSWs at other agencies in order to fill in the gap. The money that didn’t exist at the bargaining table seems to now be flowing to keep these poverty-wage women out in the freezing cold. The SEIU reports Red Cross workers have been contacted by their employer to abandon their uniforms and cross their own picket line. RCCP are calling them and asking them to come into work every day even though they know they are strike. Some are being threatened with dismissal. Suddenly continuity of care – considered to be a significant quality indicator — no longer matters. Their clients don’t want any PSW – they want their regular workers back. The PSWs that know them by name. That know where things are in their household. That know their medical history and their needs. We are in this situation because the government is insisting on wage restraint for even the lowest paid workers. They didn’t create the financial crisis that precipitated the deficit and are the least able to pay for it. It’s one thing to sustain a freeze if you are Bob Bell, CEO of the University Health Network, earning compensation of $828,552 in 2012. He’s not going to have a problem paying his power bill. It’s quite another if you are teetering on or below the poverty line and are expected to additionally maintain a car to keep you employed. Former Health Minister Elinor Caplan warned in 2005 the government had to do better for these workers if they expected to maintain a skilled workforce in home care. Instead the McGuinty government established a paltry minimum for PSWs of $12.50 an hour in 2006 – then completely forgot about their compensation issues. There has not been an adjustment to that minimum wage since. The SEIU is encouraging the public to contact their MPPs and urge the government to pay PSWs a living wage. This strike needs to be over not just for the PSWs, but for the clients too. There is only one way that can happen — with a respectful offer. We’ve placed the Minister of Health’s e-mail below. Yesterday the wind chill took the temperature in Timmins down to -47 C. SEIU is encouraging you to bring warm things to the picket line – including hot soup. They hope to be around the malls this weekend letting the public know what’s taking place. Please give them your support. We’ve asked for a link to where the pickets are taking place daily. Those locations will be changing regularly. We’ll put that link up as soon as we have it. Meanwhile we have our very own Dickens Christmas tale being played out in communities across Ontario right now. Let’s do what it take so that it has an equally happy ending. 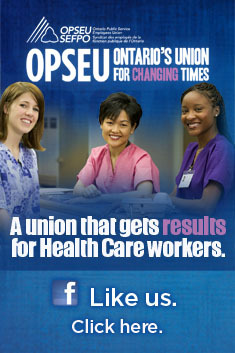 Thunder Bay — CCAC Office, 961 Alloy Dr.
Guelph — CCAC Office, 450 Speedvale Ave. W.
Owen Sound — CCAC Office, 15 Ontario Rd. Collingwood — CCAC Office, 49 Raglan St.
Midland — CCAC Office, 850 Hartman Dr.
Barrie — CCAC Office, 15 Sperling Dr.
Sudbury — CCAC Office, Rainbow Center, 40 Elm St.
Sault Ste Marie — CCAC Office, 390 Bay St.
Tillsonburg — RCCP Offices, 19 Ridout St. E.
Chatham — RCCP Offices, 240 Grand Ave. W.
Kitchener Waterloo — CCAC Offices, 141 Weber St. S.
Sarnia — CCAC Offices, 1150 Pontiac Dr.
St. Thomas — CCAC Offices, 1063 Talbot St.
Windsor — CCAC Offices, 5414 Tecumseh Rd. Woodstock — RCCP Offices, 77 Finkle St.
Belleville — CCAC Offices, 470 Dundas St. E.
Brockville — RCCP Offices, 163 Ormond St.
Kingston — RCCP Offices, 2790 Princess St.
Mississauga/Halton — Red Cross HQ, 5700 Cancross Crt, Mss. Toronto — CCAC Offices, 250 Dundas St. W.
Brampton — CCAC Offices, 195 County Court Blvd. Peterborough — CCAC Offices, 700 Clonsilla Ave.
Burks Falls — CCAC Offices, 150 Huston St.
North Bay — RCCP Offices, 1275 Main St. W.
Cochrane — CCAC Offices, 144 3 St. W.
Hearst — RCCP Offices, 810 George St.
Hamilton — CCAC Offices, 310 Limeridge Rd. W.
St. Catharines — CCAC Offices, 149 Hartzel Rd. Burlington — CCAC Offices, 440 Elizabeth St.
Champlain/Cornwall — RCCP Offices, 165 Montreal Rd. Pembroke — RCCP Offices, 1217 Pembroke St.
Kemptville/Carleton Place — CCAC Offices, 545 McNeely Ave. This entry was posted in Uncategorized and tagged Low wage home care strategy, Personal Support Workers, Red Cross Care Partners Strike, SEIU. Bookmark the permalink. Hell let’s just establish euthanasia centres to get rid of the real problem – too many aging boomers. That would reduce the need for PSWs. They can then move to the street and beg for a living instead. Problem solved. Re: Comment of Peter Guenther, So long as your the first one to go! Obviously you have not tried to live on what is equivalent to minimum wage. Costs have sky rocketed but salaries are frozen. we are being nickled and dimed to death, pay to pay is a struggle and heaven forbid you should have something go sour that kicks you into debt. Then take 3 to 4 mos. to catch back up if your lucky. Corporations are slowly bleeding the population, and with comments like yours it is easy to become upset as it is impossible to deal with individuals and Gov. that think as you do, keep raising the cost of living but provide no way to make up the difference is in human and cruel. Len: I thought the sarcasm was so thick NOBODY could possibly interpret my comment otherwise. Gimme a break. Euthanasia centres? Really? PSW’s are seriously underpaid for the work they do. I am on their side. Is that clear enough for you now? We assume Peter Guenther was applying satire to his comments?